New York Comic Con has come and gone and we got our hands on a new release and some upcoming games, including a newly announced title. Three Xbox Live Arcade games were on display at the Microsoft booth. There was the recent Robot Entertainment release Orcs Must Die, a welcomed multiplayer demo of Trials Evolution and the newly announced Fusion: Genesis, the first game coming from Starfire Studios. Though our time at the event was limited, we also did get to see the guys from Demiurge Studios and play some more Shoot Many Robots. 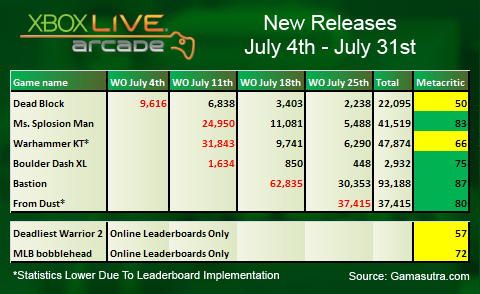 Developer Housemarque’s Outland has been on XBLA for only a few weeks but has already claimed its place as one of the service’s best games. 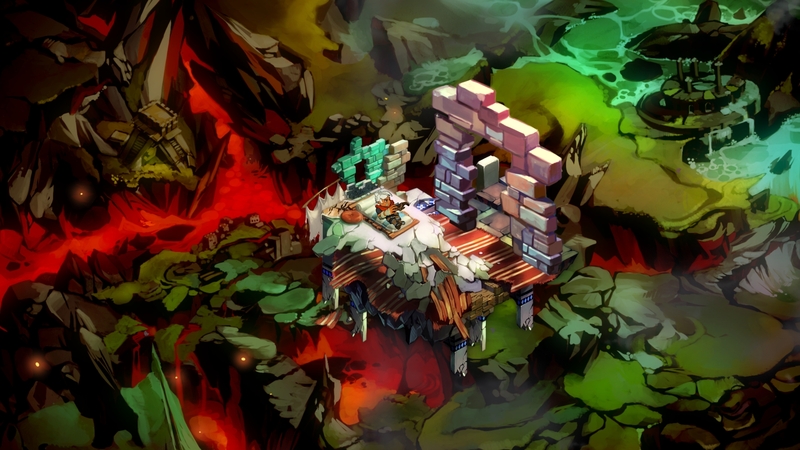 We recently interviewed the game’s Lead Designer Aki Raula, so strap yourself in, choose between light and darkness and be sure to dodge those pesky bullet-hell, um, bullets. 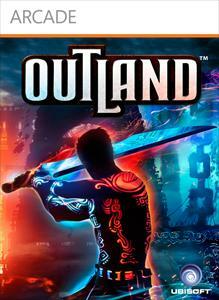 XBLAFans: So, Outland has been released and has received glowing reviews. How does that feel? Raula: It feels like our hard work has been noticed and people appreciate it. 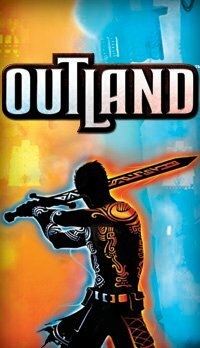 We are very happy of the spectacular reception for Outland – it is, and continues to be, beyond our expectations. 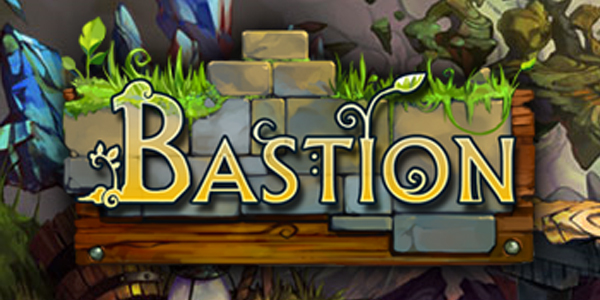 As a small studio we also hope the review success translates to sales so that we can keep on making great games! 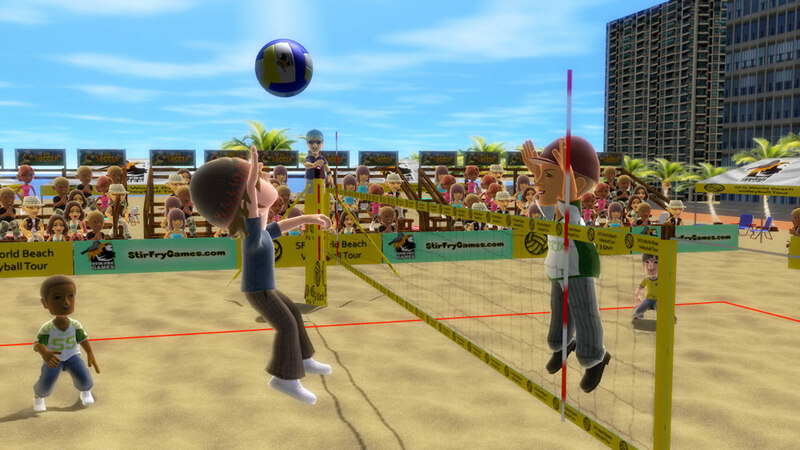 SFG Beach Volleyball was developed by Stir Fry Games and released on June 7, 2010 for 400 Microsoft Points. A copy was provided by the developer for review purposes. Are you dying to have some fun in the sun but are either afraid of sand or are a vampire? Stir Fry Games has got you covered with SFG Beach Volleyball. A game featuring those lovable Xbox Live Avatars you have grown so attached to is a no brainer right? Well, with there being a considerable lack of beach volleyball games available, this title may just be what you’re looking for. That is however, if you have some friends to play with. Get your shovel and pale because we’re digging in to this one. 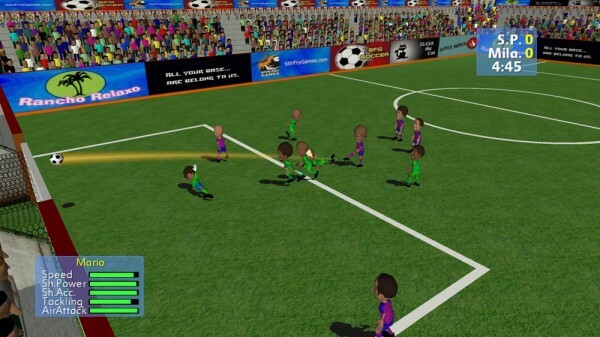 SFG Soccer was developed and published by Stir Fry Games. It was released on Xbox Live for 400 Microsoft points on October 30th, 2009. Leave it to Stir Fry Games to offer the unique indie titles that just about everyone have a little hankering for. 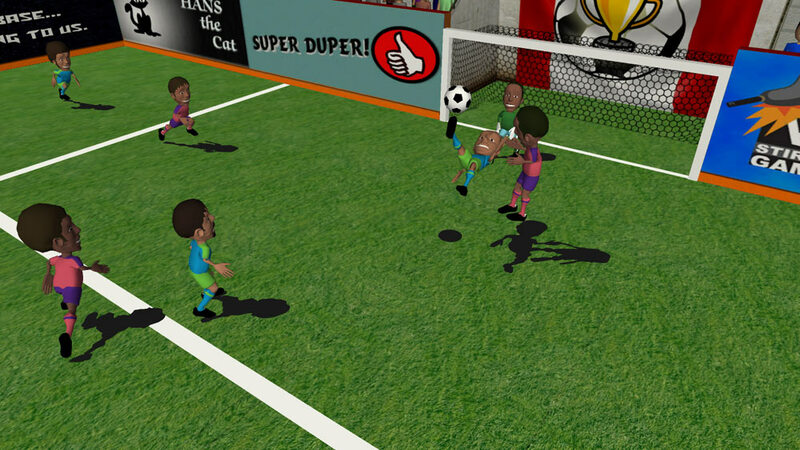 SFG Soccer is the simplistic soccer title that many casual gamers looking for a quick fix will consider picking up. 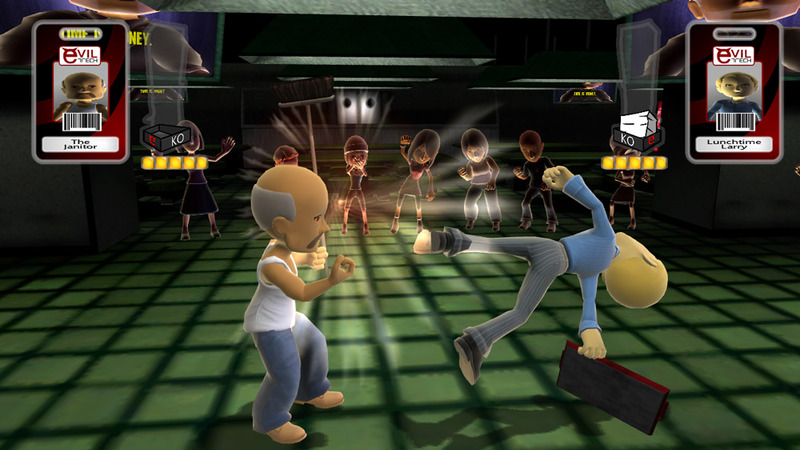 Stir Fry has offered a few titles that have featured the ability to play with your avatar. This game however, does not. Without the avatar support, did they come up with a unique and interesting character design? Ever got a somewhat back-handed email from a colleague and thought, “I wanna knock that person’s block off”? Well, Stir Fry Games offers a legal alternative. 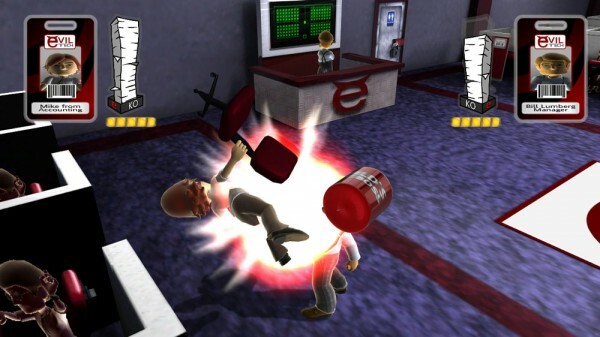 Office Brawlers is a simplistic fighting game where the player takes on colleagues due to simple email misunderstandings. Oh yeah, and players also get to fight Bill Lumberg from Office Space.